Gwen Lewis, quoted above, was diagnosed with double kidney failure following an operation a few years ago. Whilst receiving treatment in hospital for an infection she caught as a result of poorly functioning kidneys, she contracted another infection which altered her blood type. As a result she is now unable to receive a transplant from her siblings and children who were originally a perfect match. Ms Lewis is currently on the waiting list for a kidney transplant and undergoes dialysis treatment, the artificial process of eliminating waste and unwanted water from the blood – a process that kidneys should carry out naturally. It can be extremely painful and uncomfortable as well as frustrating for patients who strive to live a normal life. Sadly, according to the NHS Blood and Transplant (NHSBT), black people are three times more likely to develop kidney failure than the general population. The need for kidney donors among African Caribbean and Asian communities in the UK is three to four times higher than the general population. This is because diseases like diabetes and high blood pressure, both major causes of kidney failure, are more prevalent among African Caribbean and Asian communities. However, less than one per cent of those on the NHS Organ Donor Register (ODR) are black or Asian. According to NHSBT, patients on the deceased donor transplant list on average wait approximately three years. However, with very low numbers of people from black and Asian communities signing up to the ODR, a black or Asian patient may have to remain on the list considerably longer than three years. A 2010 research report by Sonia Clarke-Swaby, a kidney transplant coordinator for NHSBT and Mary Seacole Development Award Winner in 2009, set out to examine the reasons for the low numbers of organ donors from African Caribbean and Asian communities in Lambeth, Southwark and Lewisham in south London – areas with high black and Asian populations. Her findings reveal that lack of understanding, cultural and spiritual beliefs are all strong contributory factors. For example, almost one third of study participants said they did not know about organ donation and one fifth said that they did not know how to become donors. Whilst 15% of the participants believed that the body should be buried whole. There was also a sense of mistrust and fear of medical professionals, a fear of hospitals and operations, lack of understanding about the process and perceptions of racism, which are all major barriers to organ donation. The Department of Health and the Government have a duty to raise the profile of organ donation among these communities and should act urgently to address the shortage of organs and increase organ donation and transplantation rates, taking all necessary measures. Raising public awareness through education and advertising to correct misconceptions about organ donation is essential, coupled with the inclusion of African Caribbean and Asian churches, mosques, temples and communities in government campaigns as an inclusive approach. According to Dela Idowu, Director of Gift of Living Donation (GOLD), “A lack of knowledge and ignorance are the main factors for low donation activity among black communities. “My cousin Devinia suffered with renal failure for many years and previously received a transplant that lasted around 10 years before it started to fail. Having to go back on the list made her very sad and depressed so I decided to donate my kidney. Where a living donor is unavailable, a patient waiting for a kidney transplant must wait for a kidney from a deceased organ donor to become available. The process of waiting for a transplant can be an emotional one for both the patient and their families, especially those who are not eligible to donate for medical reasons. Please act now to help reduce the shortage of organs for African Caribbean and Asian communities. Help raise awareness by sharing this article by clicking on the Share button at the top of this page. 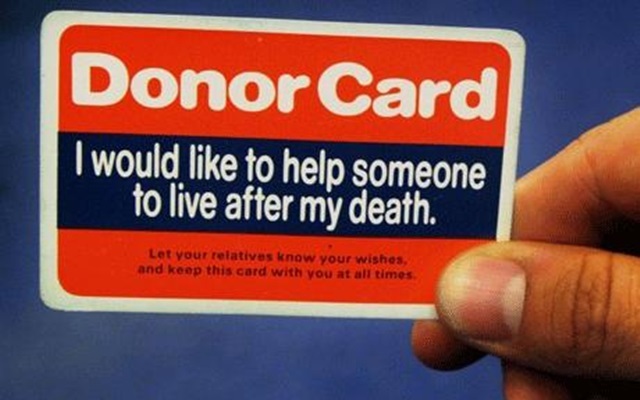 Carry an organ donor card to give the gift of life and leave a legacy after your death.